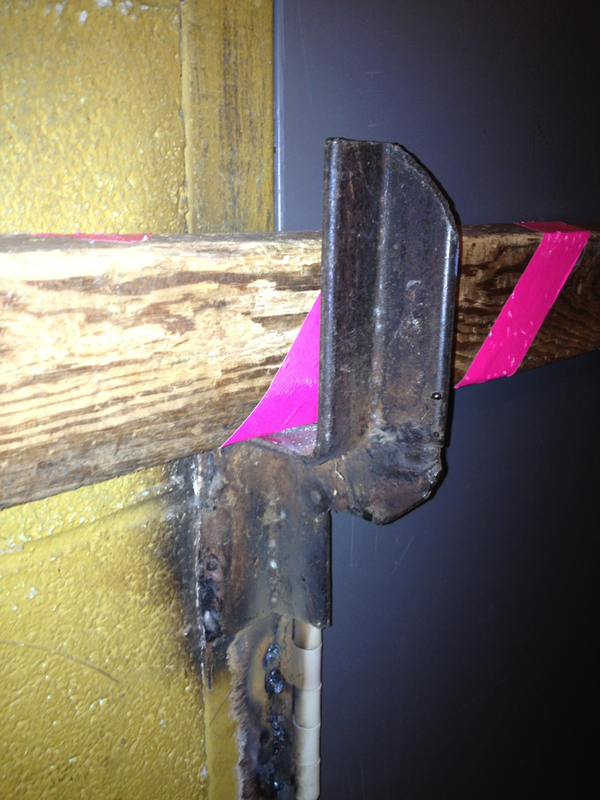 I’ve tried to get my Captain to replace our “Fake” halligans (ie 3-piece, pinned heads) with more of the one piece forged bars, but I was told that the 3-piece bars meet NFPA standards. And that any door in my city that needs forcing can be handled with size 13 boots, so why would we ask the Public Safety Director (aka the former police chief) and city commissioners to pony up more cash? Any ideas how to beat this mentality? I already offered to show them print outs from “Irons and Ladders” posts re: busted 3-piece, Fake Halligans. Find all the info you can on the Holligan bars….you will see many posts on failures of them, and show him the advantages of a true Halligan ! Any tool that is forged and one piece is better than one that is pinned ! If going to a forged halligan saves one injury from the failure of a hooligan bar, the halligan pays for itself ! 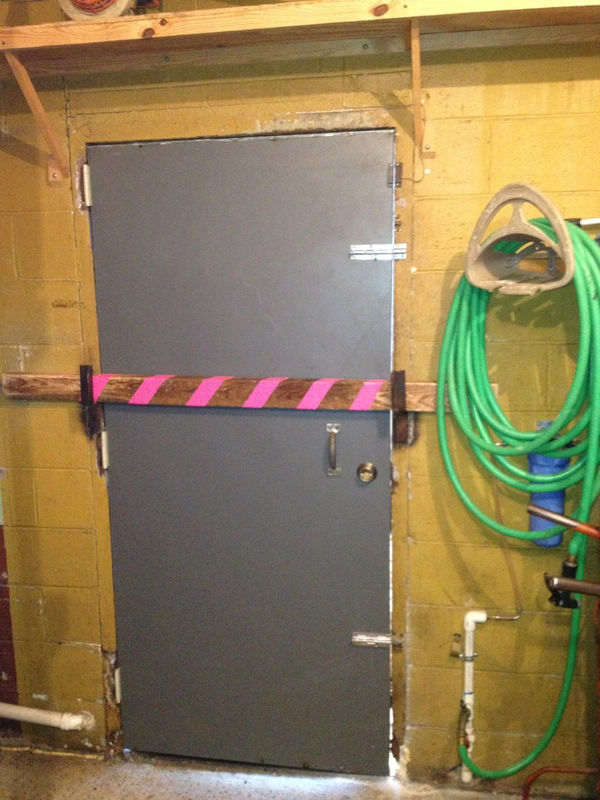 Also most Hooligan bars are 36″ in length, this makes it much harder to use in restricted clearance areas ie: hallways, recessed doorways. Short of that do what FF’s are good at ! Break the hooligan tool during use, then have it replaced with a Halligan ! Also I am not aware that there is a NFPA standard on tools? Robert, KTF, but remember sometimes you just can not fixed stupid. The problem with that size 13 boot is it is powered with feet and legs that get brittle with age. Now if you you meet someone who can kick that door you might keep the aging comments to yourself for your own well being. Most who do not understand the difference between one piece and 3 piece have not done it or have not ran into that one door without defaulting to a saw. 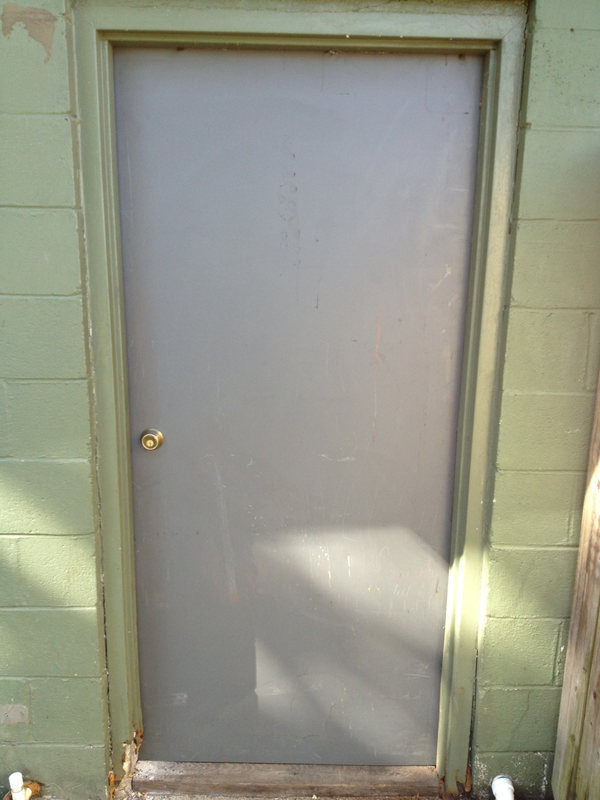 As far as the door in the photo, the simplest method would be to use the K-12 with the metal cutting blade and cut the door in half,width wise, and make it into a “Dutch Door”. Open the top half and remove the wooden bar by hand. Also a good method in dealing with a tough Fox lock. time with your useful info. but I was incapable to find a trusted source up to now. I stubled onto this web page in error yet I’m thankful I did so! Thx for the helpful info. My sister also enjoyed the scoops pointed out in here. I’ve been looking through your web for a time, but until now I made a decision to submit at least a hi there. Please continue adding such insightful research, I’m a sucker for this type of articles! Once your big eyes find itchy, disproportionate rubbing together with scratching accordingly ought to be shunned. therapeutic dose, compared to as many as 10 capsules a day for fish oil. or 2 facts I was not aware of! all the time by reading thes goood content. great article… but what can I say… I procrastinate a whole lot and newver manage to get nearly anything done. You might ttry adding a vidwo or a related ppic or two to grab readers interested about what you’ve written. Just my opinion, it would make your blog a little bit more interesting.